In the Alpilles, beautiful property 230m2 hab. on 7 Ha of pine forest and grassland comprising: lounge with exposed beams and stone fireplace, dining room, open kitchen, pantry, laundry room, 1 bedroom ground floor with bathroom and two bedrooms upstairs and 1 bathroom, 2 toilets, garage and pool. In the house there are 2 apartments of 70m2 comprising lounge, kitchen, two bedrooms, bathroom. 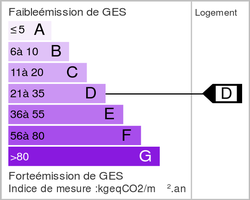 Aménagables dependencies. Ideal location and 4 stables . Peace and quiet !